NEW ORLEANS -- Mississippi Gov. 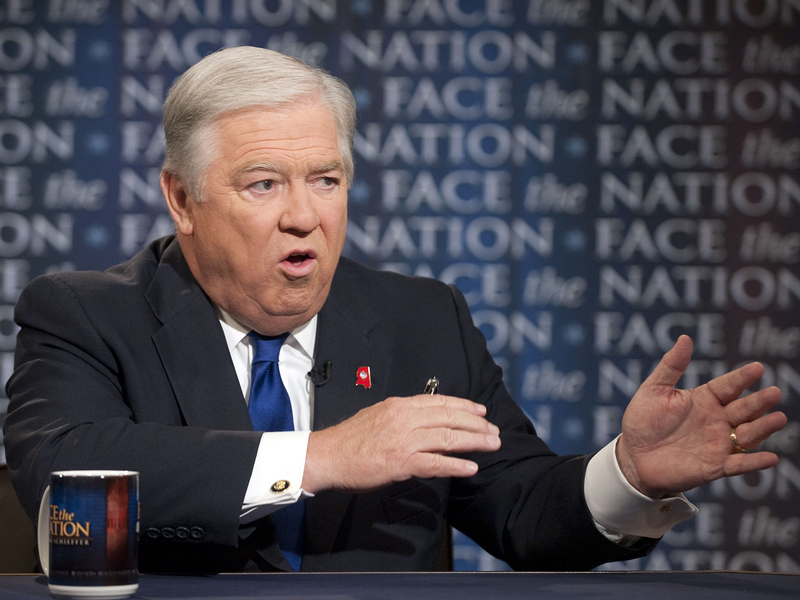 Haley Barbour told a crowd of conservative activists at the Republican Leadership Conference Friday that they should not "get hung up on purity" when it comes to the Republican nominee for president. "In politics, purity is a loser," said Barbour, a well-connected GOP insider who earlier this year decided to forgo a presidential run in 2012. "In this business," he added, "it is unity that wins elections." Barbour said only one "perfect" person had ever walked the earth - presumably Jesus Christ - and said voters should see someone who they agree with on 80 percent of issues should be considered an ally, not an enemy. Barbour said that this was the first time in his decades in politics that people are regularly telling him that "I'm afraid my children and grandchildren are not going to inherent the same country I inherited." "Those are the stakes for this election," said Barbour. That's why, he argued, that the Tea Party cannot effectively serve as a third party, splitting votes on the right. President Obama "can't lose if we split the conservative vote," Barbour said, adding that "the left is dying for the Tea Party or the whatever party to become a third party." Barbour, who deemed the GOP field "wide open," predicted a hard fought primary battle. He said when that battle is over, conservatives must remember that, in the words of FedEx founder Fred Smith, "the main thing is to keep the main thing the main thing." And that main thing, Barbour said, is electing a new president in 2012. Barbour's speech also included a number of shots at Mr. Obama on energy policy and the claim that Republicans will win if the issues don't become muddled because Americans agree with them. There has been a perception that Republicans are disappointed with their options to take on Mr. Obama, but conference-goers have said in interviews that there is at least one candidate who they support. When Barbour said "there are a bunch of good choices" in the GOP field, the audience responded with applause.